The sudden end to negotiations upended a way of doing business that had been in place for more than four decades. The fight had been brewing for a year. The Writers Guild of America’s Los Angeles and New York branches accused the agents of enriching themselves at their clients’ expense and demanded that they agree to a new code of conduct. If the agents believed that the movie and television writers’ threat to break the bond between them was a mere negotiating ploy, they learned it was a genuine stance when the talks fizzled out late Friday afternoon. The Association of Talent Agents, the group representing the major agencies, offered concessions in recent days, but their efforts were not enough to keep the two sides at the table. The unions instructed members to sign a form letter that will allow them to fire their agents individually. “The Guild will forward all letters en masse to the appropriate agencies in a few days,” the unions said. The TV writers and agents had been operating under a franchise agreement that took effect in 1976. That agreement was set to expire at 12:01 a.m. Saturday, when the Writers Guild of America would technically break ties with every agency that had not signed the new code of conduct. 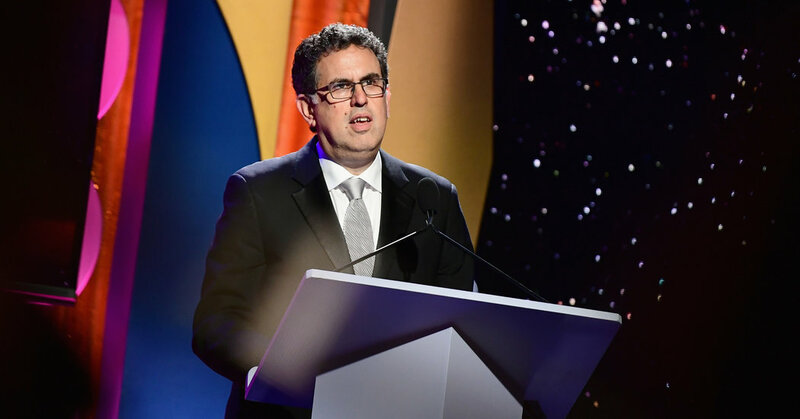 The four major agencies — William Morris Endeavor, Creative Artists Agency, United Talent Agency and ICM Partners — had been steadfast in shunning the writers’ attempt to make serious changes to the structure that has long been in place. The fight made for an unusual labor battle. The writers’ unions, which went on strike in 2007 and nearly did so again two years ago, have traditionally had disputes with their bosses at the big studios. This time, they have directed their fury with the people who have served as their advocates and friends. During a programming boom often referred to as Peak TV — 495 shows were available in the United States last year, thanks in part to the rise of streaming — television writers have claimed that their pay is stagnant or going down. The writers blame what they perceive as insufficient compensation on the agencies, accusing them of corrupt business practices. Two specific practices have gnawed at television writers. One is the agents’ decades-old habit of packaging a roster of talent from their pool of clients for a given project. In return, the agencies waive the usual 10 percent commission fee paid to them by individual clients and collect large sums, called packaging fees, from the studios. The writers claim that these deals allow the agents to effectively pocket money that should be theirs. The writers’ second complaint concerns how three of the major agencies — William Morris Endeavor, Creative Artists and the United Talent — have ventured into the production business with the creation of affiliated companies that produce and own content. This development, the writers say, can mean that agents sit across the table from executives who are essentially their colleagues in what the unions call a conflict of interest. The agencies have called the writers’ claims preposterous, arguing that their services are needed more than ever in a changing media environment in which Netflix, Amazon and Apple are on the rise. The writers have been adamant that the agencies must end the practices they find objectionable, which the code of conduct would accomplish. Last month, 7,882 members of the Writers Guild of America West and the Writers Guild of America East voted in favor of the new code of conduct, with just 392 members voting nay. The rupture between the writers and their agents will introduce disorder to Hollywood. The industry is approaching the so-called staffing season, when the broadcast networks assemble their fall lineups and hire writers to bang out telescripts for sitcoms and police procedurals. Agents are the usual go-betweens for the writers and studios, taking a strong hand in matching writers rooms with the appropriate writers. Union bosses have in recent days told writers that they would be able to apply for jobs through a web portal set up by the Writers Guild of America, or by empowering their managers or lawyers to make deals on their behalf. The agents have warned the writers against allowing managers or lawyers to do that kind of work. On Friday morning, Latham & Watkins, a law firm representing the talent agents, sent a letter to the union, saying it was “unlawful” in California and New York for managers and lawyers to take on the role of agents. The note also suggested that litigation could soon be filed in both directions. There were hints of the coming impasse on Thursday evening after the Association of Talent Agents went public with its counterproposals to the writers. Some people in Hollywood interpreted the association’s unusual step of revealing what had been happening during closed-door negotiations as a sign that the two sides were nowhere near a deal. With their counterproposals on Thursday, the agencies suggested that they wanted to continue with packaging and running their own affiliated production programs, but they were willing to make their practices more transparent. For shows with packaging arrangements, the agencies said they would share “a percentage” of their back-end profits with writers. More specifically, the agents said 80 percent of that share would be funneled toward writers who did not participate in profits on the series. The remaining 20 percent would go toward initiatives meant to improve diversity in writers’ rooms. On the production affiliate programs, the agents vowed to be more transparent and to meet with writers four times a year to discuss whether a show made with agencies’ sibling companies was “benefiting writers.” After two years, according to the counterproposal, if the unions continued to believe that writers were not doing well under the arrangement, they would have the right to reopen negotiations on the matter. Many bystanders — studio executives and producers — have likened the writers’ strategy to Brexit: unyielding, but where will it lead?